The treasure-trove of data available to clinicians and usable for making informed decisions is among the by-products of a healthcare organization achieving goals associated with an electronic health record deployment. As per the Center for Medicare and Medicaid Services (CMS), this data serves as a technology platform to improve the quality, safety and efficiency of patient care, reduce health disparities, engage patients and family and improve care coordination as well as maintain privacy and security of patient health information. Healthcare organizations are realizing that a critical success factor to achieving the benefits associated with this newly acquired data is to have operational leadership fully engaged and committed to driving value from the data. Although gaining this engagement may seem simple in concept, creating the dynamic of engagement in multiple organizational areas can be quite challenging. Inexperience in having data available on which to base decisions. Lack of confidence in the validity of the data. Concern regarding the outcomes of evidence-based decisions. Regardless of the reason for initial hesitance, a significant investment is needed to acquire and make required data available to achieve the benefits associated with this investment, or any other technology investment for that matter. Uncovering the reasons behind unspoken assumptions or even healthy skepticism early on is a key component to understanding any potential barriers and allowing one to break through the resistance. Ensure you have a data governance committee that is empowered, meets regularly and has broad representation. Identify key health system performance metrics and agree upon the definition and calculation for each. Meet consistently with senior leadership to resolve ambiguity in data metrics. Educate operational leadership on the self-service tools available to mine data. Utilize use case scenarios to display the power of the data. Be prepared to provide ongoing support on a shoulder to shoulder basis. For some, gaining comfort with data and learning to make informed decisions based upon the data will be a journey. As members of the information services community and stewards of this data, it is our responsibility to work collaboratively with operational leadership in order to drive maximum value from our health system's investment. 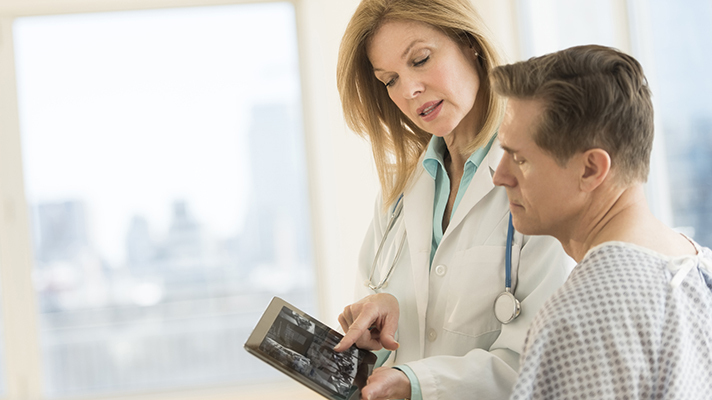 Achieving this value will enable the prescribed CMS benefits for our patients and community and also create a tighter bond between members of the information services organization and their operational counterparts.